When hosting a conference, meeting, or other event, you need professionally printed materials – conference guides, schedules, signs, name tags, etc. – to give your event a professional look and feel. But you don’t have the time and energy to give conference printing the attention it deserves. You have so much else to worry about, from arranging the onsite staff to finding a caterer to booking your keynote speaker, and so much more. The last thing on your mind is printed materials. 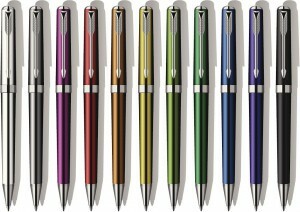 But without aesthetically pleasing printed materials you run the risk of looking unprofessional. Fortunately, that is why you have Time Printers. Let us handle the design and printing of your conference materials while you focus your attention on the bigger picture. Time Printers is a full service printing products and services business located in Baltimore, Maryland. 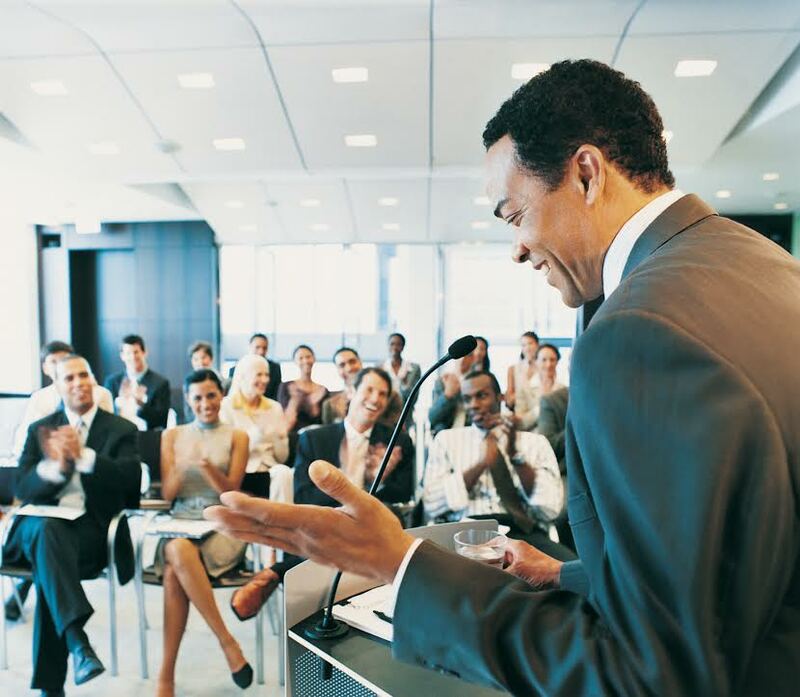 Our experienced sales team can help you design conference materials that will help make your event a successful one. At Time Printers, we feel our job is making you look good. Time Printers is a company you can trust with your conference printing needs. Even in today’s technologically driven world, printed materials still make a difference, especially when it comes to running a successful conference. There are several printed materials that will help enhance the experience of your attendees. Event tickets. Time Printers provides professionally printed tickets in a variety of colors and sizes. We can provide numbered tickets, as well as tear off stubs for raffles, and so much more. Click Here to learn more. Programs and Schedules. It is important that your attendees know what is going on, when it is going on, and where it is going on. Programs and schedules are an aesthetically pleasing and cost effective way to keep your attendees well-informed. 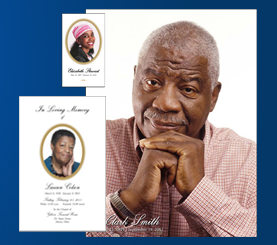 Time Printers has extensive experience with program booklets. 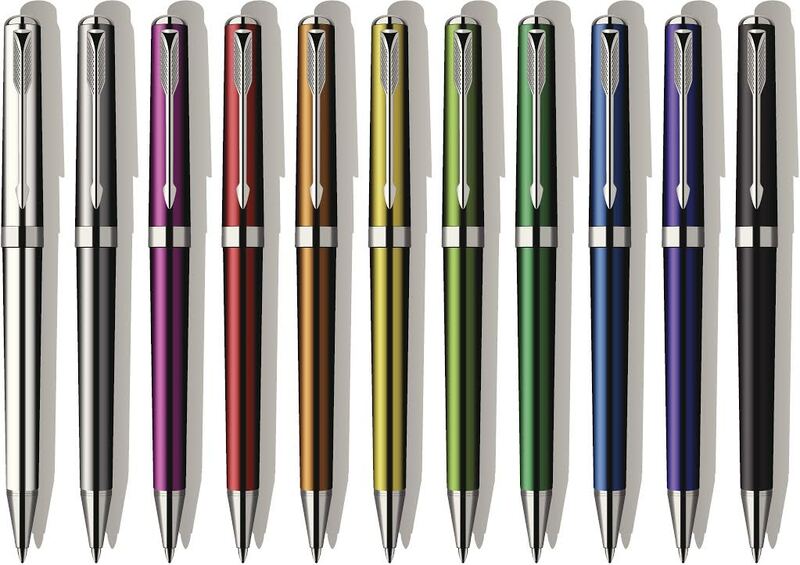 We can even help with the design and layout to ensure an attractive piece with an affordable price tag. Signs. It is easy to get lost amongst the hustle and bustle of a conference, especially a well-attended conference. Strategically placed signs can help direct your attendees where they need to go. Here at Time Printers, we are confident that we can meet all of your signage needs in a timely and affordable manner. Badges and Name Tags. Name tags can help make introductions quick and easy. And your attendees will not have to worry about remembering dozens of names. To learn more about Conference Printing Services in Baltimore, please give us a call at 410.566.3005 or click here. You can also connect with Time Printers on Facebook, Twitter, Google+ and Pinterest as well. Christmas may seem like it is still ages away, but it will be here before you know it. Now is the perfect time to plan your company’s holiday party. This is a great way to bring together employees and clients to help share in the joy of the season…and a little shameless self-promotion. As the old saying goes, out of sight out of mind. As a business owner or marketing executive it is your job to find new and exciting ways to keep your brand in front of both current and potential clients. One quick and easy way to accomplish this is with your company’s holiday party: more specifically, your Christmas Party Invitations. Even if a client does not plan on attending your holiday party, simply sending Christmas party invitations to your current clients can help boost brand awareness and keep your business in the public eye. Of course, you can only reap these rewards if your invitations are visually pleasing and professionally designed. Time Printers is a full service printing products and services business located in Baltimore, Maryland. 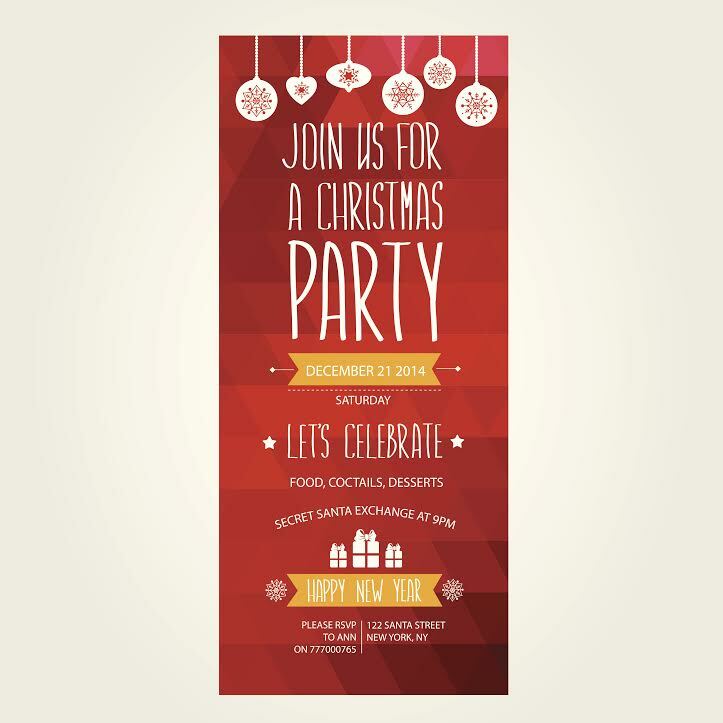 Our experienced sales team can help you design custom Christmas party invitations for your company, invitations that will help you make a lasting impression with your clients. The purpose of an invitation is not only to give logistical details about your event, but also help to set the theme, build momentum, and engage participation. Whether you choose one of our custom templates or have our design team create a beautiful masterpiece, you’ve come to the right place. ‘Tis the season for direct mail marketing. Yes, your Christmas party invitations are more than that. They are also an opportunity to market your business in one of the most effective ways possible: direct mail. Even in today’s increasingly-technological world, direct mail still dominates marketing efforts and for good reason. Just think about it for a second. When you receive an email, you can easily delete it without ever reading what’s inside. It is significantly harder to ignore direct mail. According to the United States Postal Service, 98% of people bring their mail in each and every day and 77% sort through it immediately. But more than that, direct mail is also effective. When direct mail is sent to an existing customer, the response rate is 3.4%. The response rate for email is just 0.12%. According to a study conducted by Ritter’s Communication – 50% of people pay more attention to direct mail than any other advertisement medium. So don’t miss out on an excellent opportunity to market your business. Invest in your future. 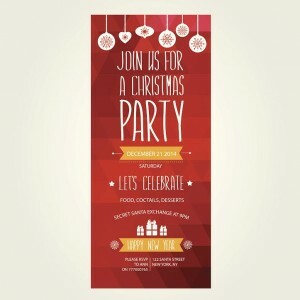 Invest in professionally designed and printed Christmas Party Invitations from Time Printers. We feel our job is making you look good! To learn more about, please give us a call at 410.566.3005 or click here. You can also connect with Time Printers on Facebook, Twitter, Google+ and Pinterest as well.